One of nature's great ambassadors, butterflies create wonder. Sew this design on little t-shirts and baby shirts for perfect gifts. 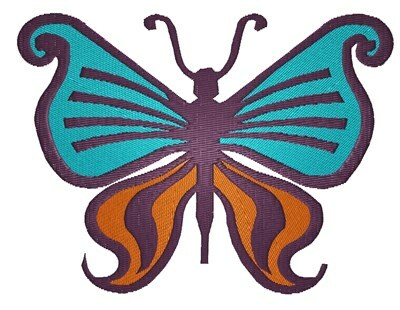 King Graphics is happy to present Butterfly machine embroidery design which has 18833 stitches and is [134.62 mm x 101.60 mm] large. If you would like to view more embroidery patterns please search on our embroidery designs page.